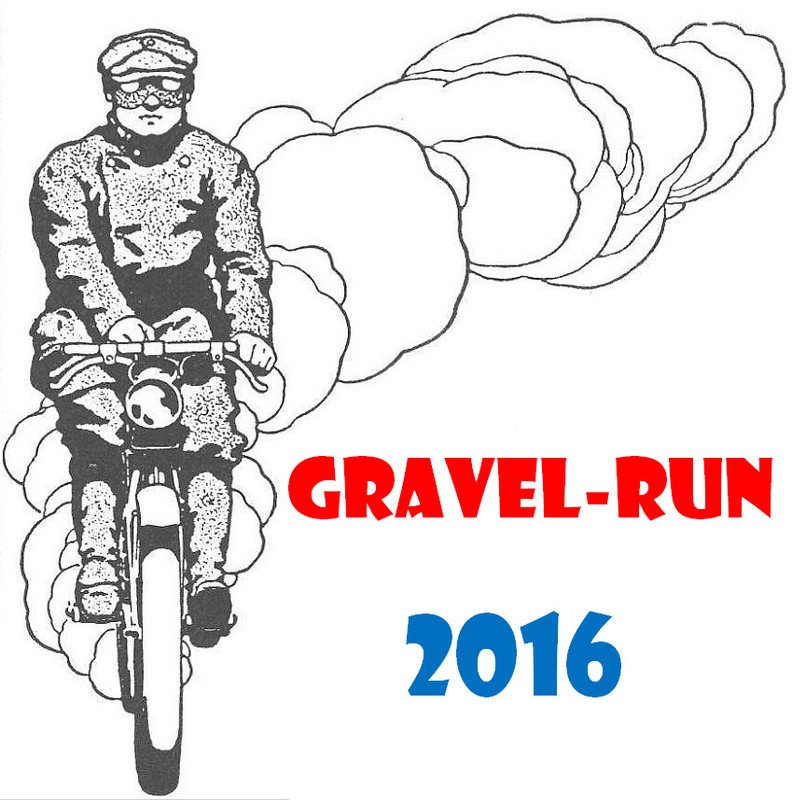 The Gravel Run 2016 official sticker. 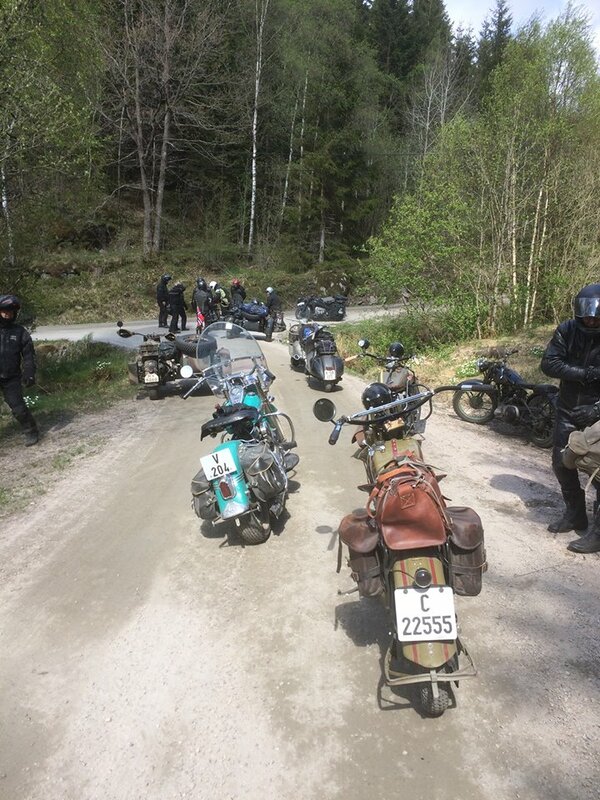 Last year the Gravel Run was an one day ride, a ride those who participated enjoyed a lot. 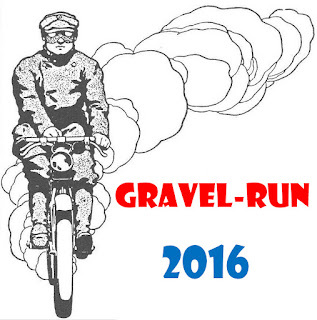 During the winter it was decided to make another Gravelrun for 2016, now a three day event. 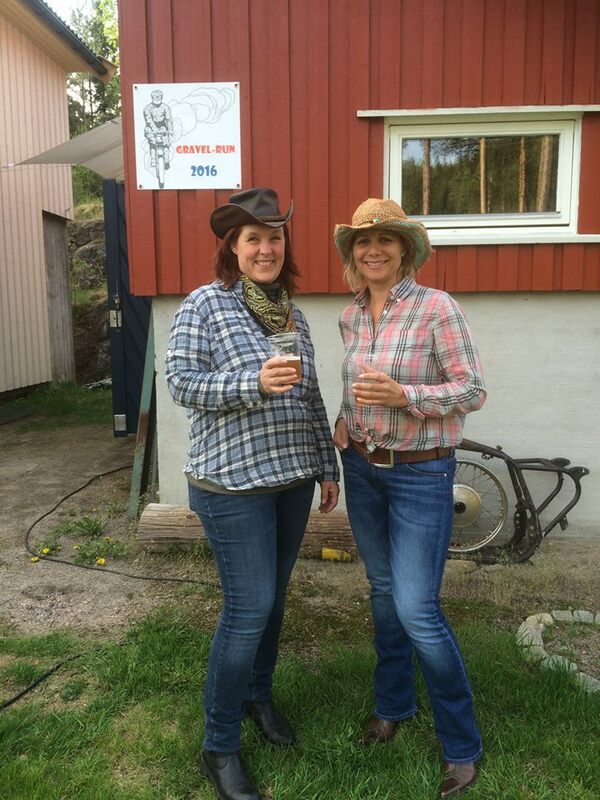 Start would be as last year, Friday morning from Villy`s workshop. The finnish too would be as last year, at my workshop where we decided to run a party from Saturday to Sunday. I am lucky enough to have plenty of room in my workshop (if I clean it all up) to run an indoor party, and I have a paddock outside with room for many tents. 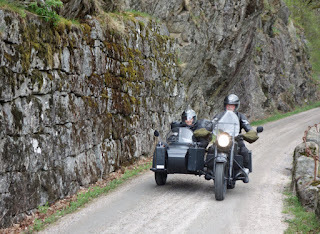 The route this year did only follow some of last years roads, those where the first part from Villy`s place on Friday. The total length of the ride would be roughly 240 km`s, most single lane gravel roads, and three of the stages was to be ridden on privately owned roads where I had got permission to use the roads. 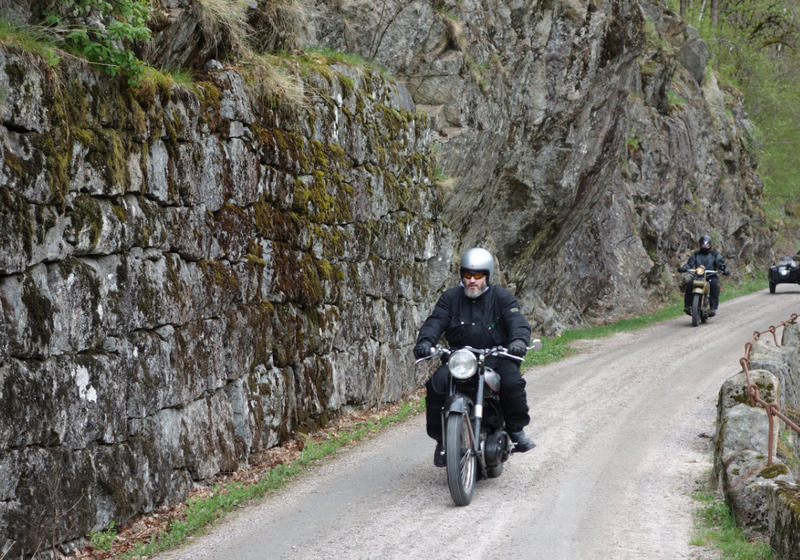 Norway have a lot of private roads, unfortunately most of those are behind locked gates, and most owners are not very positive in letting anyone use their roads. Thanks to my persuasion abilities we got the needed permissions, and those roads where amongst the most thrilling we rode during the event. Participants starting to arrive at Villys place. Those BMW`s and Zundapps are made for seriously bad roads. Grunde`s Panhead might very well have been the least gravel friendly bike in the pack, still though even more impressive to ride such a bike on such demanding roads. The Rival`s scooter club brothers dont mind narrow roads and gravel, even if rolling along on wheelbarrow wheels!! My "Not so dirty nine" W is my favorite bike on gravel roads. Håmsø and wife with their BMW R75 wermacht geaspanne. 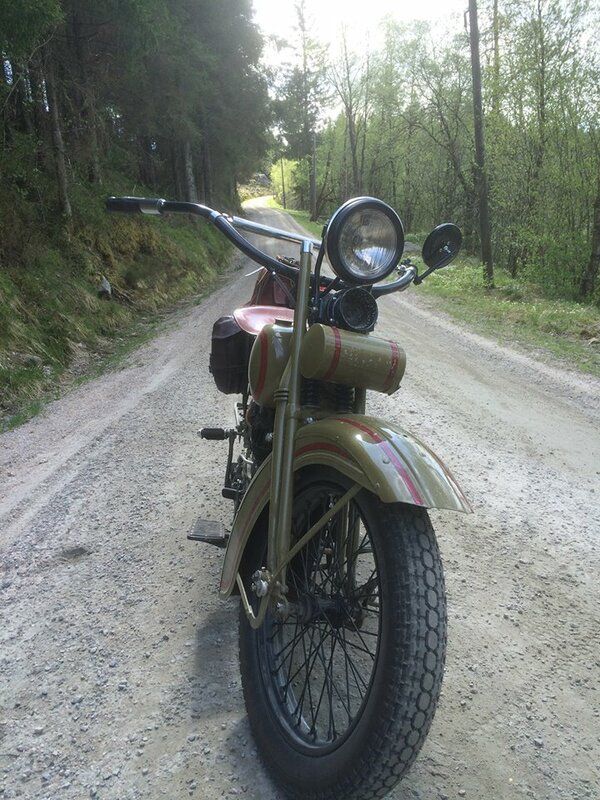 It is really cool to know Håmsø bought this bike a sa teenager in the late sixties, and kept it ever since. Runes 27 J and Geir Arnt`s Ariel WN-G, Grunde`s Panhead in the back. Another view of first stop Friday. Jostein`s BMW wermacht R75 all alone along the route. My W parked in the middle of the road while I check the roadmap for directions. 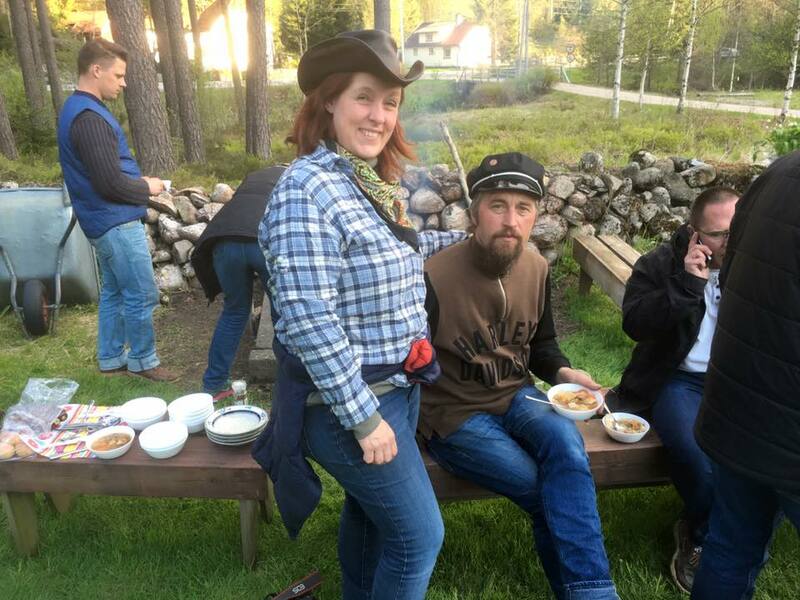 Finally at the Friday nights camp, Rune and Grunde seem to be ready for a beer. 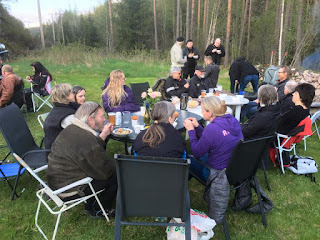 Barbeque and beer. 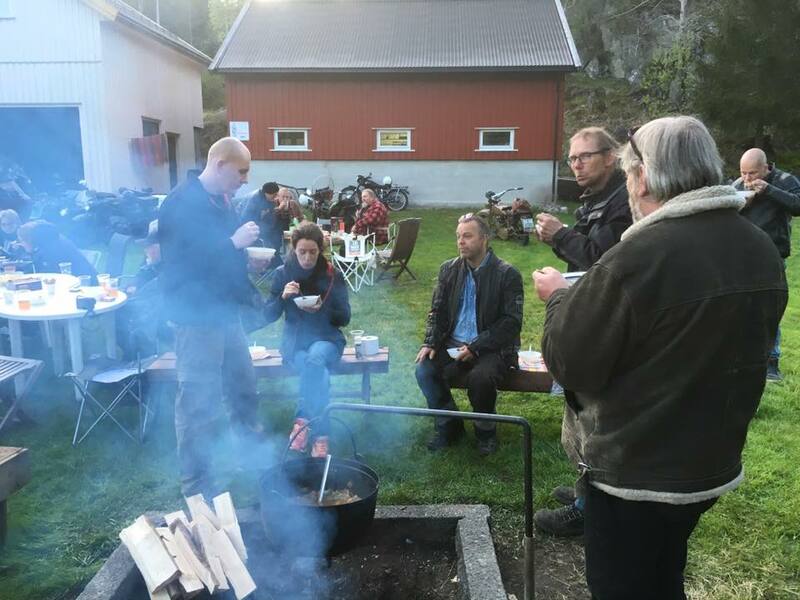 As this is Norway in May, evening temperature does not make enyone tempted to a swim. Saturday, Geir Arnt get tecnical issues with the Ariel rear stand. More tecnical entertainement, now Rune`s Schebler makes the fun. 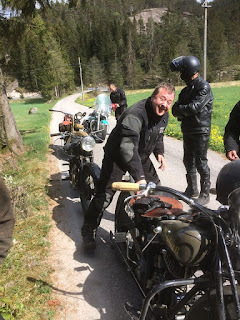 Oops, a big rock hit the exhauts pipe on one of the Zundapp`s. OK, hate to admit, I`m the one with problems. My oil lamp lit, this even if there was oil return to the tank. I decided to continue, and in a while the lamp went off again. Runes J along the route Saturday. Grunde and Panhead having crossed one of the steel bridges we crossed that still are paved with planks. Jostein and BMW, just room enough over the bridge. Stig`s Norton with gravel road grime and dust. Geir Arnt`s Ariel start to get the right patina too. Waiting for the rearward riders, we are now getting closer to the finish and some of the riders start to act as if this is a race not a ride. The ariel need a rest, good to have a pine to rest against when the rear stand is broken. Another stop, this time we visit a remote farm where the owner does not throw away any old vehicles. This is in todays society only possible if you live as remote from modern society as this guy does. One of the motorbike sheds, here are Jawa and a wermacht Victoria, and who knows what. This is the local cinema, and NO its not a joke. Another bike shed, wouldnt mind getting this old ULH back in bussines as my ride, sigh! 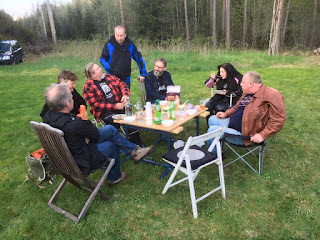 Riders who have reached the finnish line at my workshop. 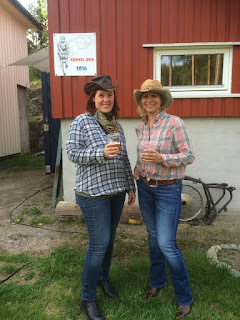 When we arrived we got a very positive surprise. 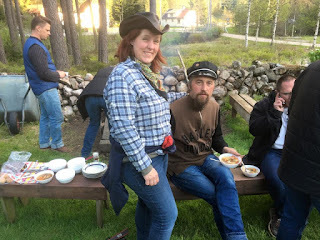 Vegard was allready there, he had ridden all the way from Eastern Norway on his W (the one with a lot of luggage) to join our party!! 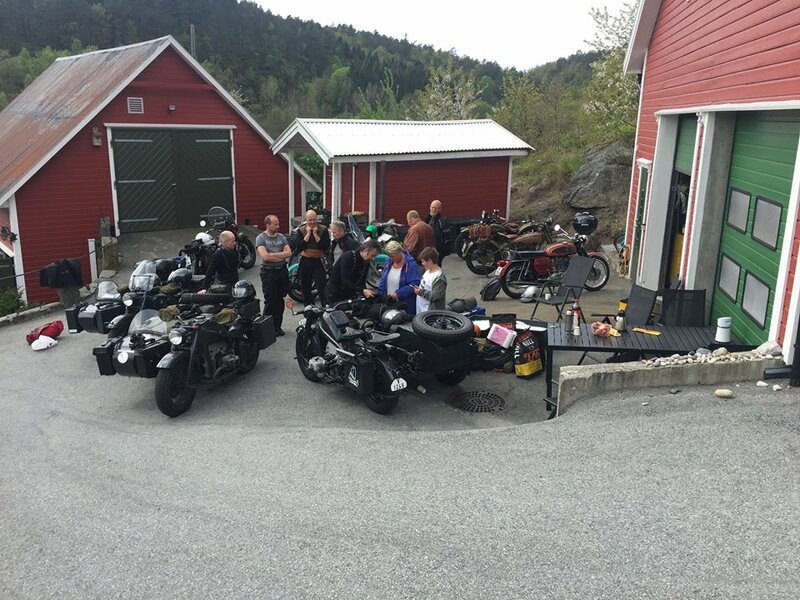 Another pleasant surprise was that the danish brothers Thomas & Rasmus came by on their way home after having purchased two Harley R models in Telemark, two great bikes that they had been lucky enough to get purchased. Hrrrrm, wish there had been any locals interested in paying a fair price for those, to keep them in Norway, second best option is our danish friends. 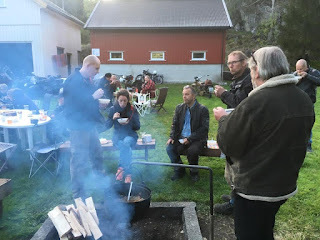 Campground next to the workshop. 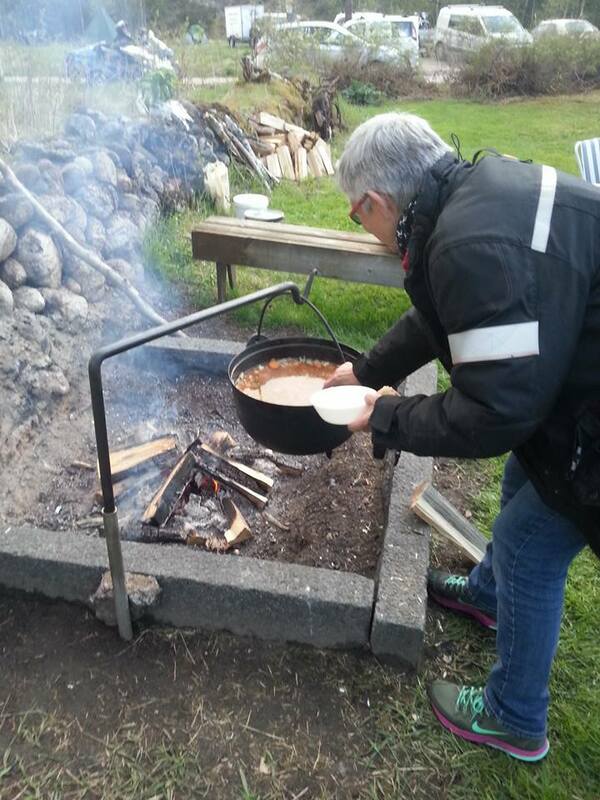 Food is getting ready, cooked over open fire! Øyunn & Britt Wenche, in charge! We look forward to Gravelrun 2017.